Home The Plain Columns The Amish Editor Yikes, Say It Ain’t So, Paula! Oh geez, we all learned today that the queen of southern cuisine, Paula Deen, has Type II diabetes. Well, our best wishes to Paula. No disrespect meant, but it really isn’t terribly shocking when you consider all the fried and fatty foods she’s been preparing – and likely consuming – all these years. I’ve always been a Paula Deen fan, although, I’ve rolled my eyes a little bit at some of the “uber-branding” of herself that she’s done (Um…a Paula Deen mattress???) But I think those are probably her advisers making those decisions, though. (disclosure: Paula Deen and I share the same literary agent for our cookbooks) Anyway, I’ve always liked her and respected her work ethic as she has climbed to the top. 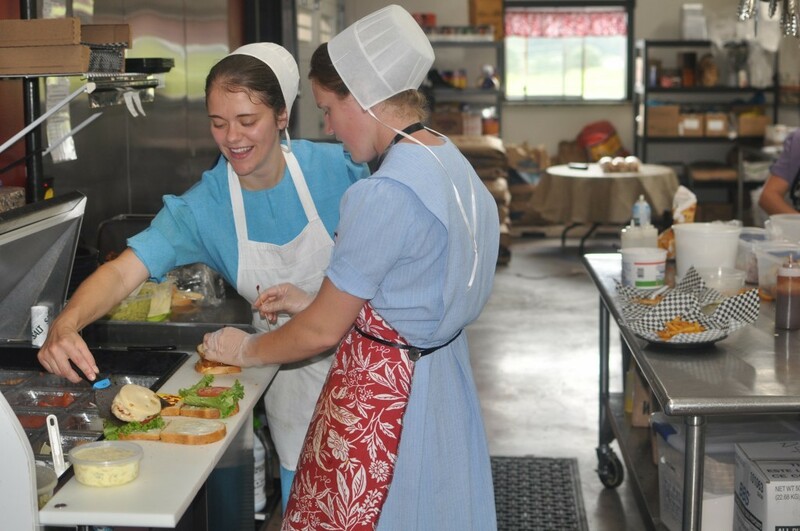 An Amish angle to this: diabetes – I believe – is on the increase among the Amish. This is purely an anecdotal assumption, I have no proof, but I do know that the past couple of generations of Amish have seen diets shift from a largely locavore and natural diet to one that is increasingly including McDonalds, pop, and packaged chips. While a hard work-ethic has acted as a powerful counterweight against the waistline among the Amish, I have noticed more obesity among the Amish than I did 20 years ago. So, what do you think: are you a Paula Deen fan? Are you surprised about her diabetes announcement? I am absolutely a Paula Deen fan. I grew up on southern cooking, and some people don’t get diabetes. A lot of the time it runs in the families. I imagine that she will have to cut down on her comfort food portions and include more fresh vegetables that a raw and not cooked in loads of butter. Olive oil is very good instead of the other sorts of shortenings and there are soome pretty good margarines that have no transfats in them. Moderation in all things…even the Amish cooks use a lot of butter, but nothing tastes better in baking than butter. I love Paula’s personality and she definitely sends the most powerful love through the television set. I am sure that she will adjust many of her recipes since she has announced that she has type II diabetes. I am sure that she wants to reverse this disease and many people have. Don’t judge Paula, just love her. I can’t think of anyone else who is a TV cook who loves so much as wonderful Paula Deen. She is “others” minded for sure! I find southern cooking to be comfort food especially Paula’s macaroni and cheese but eat it in moderation. We eat rather healthy here but when the snow is blowing and piling up you better believe there is fried chicken in the cast-iron skillet with mashed potatoes and milk gravy! Mmmmm, I’m hungry now! Good luck to Paula, it is manageable and she will do fine! I admire her for where she came from and where she is now, quite a lady! diabetes is a serious thing. not to be taken likely. a vegetarian could have it. but, we still should watch what we eat. doesn’t mean not to have that apple pie. just less of it. I use equal or splenda in my baking. I too, a diabetic as well as my husband. by the way, it’s in our families. I love Paula Deen! I think she’s a dear person and she cooks the way she always has…lots of butter and a deep fat fryer. Am I surprised by the diagnosis? No. If anything, I was surprised it was suddenly news…I had sort of always figured in the back of my head that she might be. But hey…it doesn’t stop me from making her gooey butter cake…and neither will this. Although I think there is a lot to be said for low-fat, “healthy” diets…I don’t believe I have ever heard Paula Deen advocate that people should eat the way she cooks every meal of every day of their entire lives. The heat she’s taking over this? Well, it’s kinda stupid really. Everyone has the ability to make their own decisions…if someone makes the decision to eat this way every day all the time, well…frankly, I think there’s a bigger problem than Paula Deen there. It’s all STILL a matter of moderation and making choices. Sometimes you make good choices. Sometimes you make bad ones. You learn. You live. Life goes on. No need for the nastiness and pointing of fingers (Anthony Bourdain, shame on you! Examine your OWN life, maybe…). Ah, good to see you on this site, Rebecca…and, yes, I think you make great points…I don’t think Paula Deen is the problem, it’s poor choices people make….I also rolled my eyes a bit at the timing of Bobby’s show…. Thanks for the welcome, Kevin! I am enjoying exploring. :o) Looks great so far! And yes, I figured out that the log in is for bloggers, not everyone. LOL Still need some more time to settle in, I guess. Okay folks, IF you are looking and watching this website, YOU are involved in cooking for some dishes that are not fat/sugar/salt friendly. IF you watch Paula, and follow the recipes in her cookbooks that you really love; you already know that you cannot or could not cook like that everyday of the week. 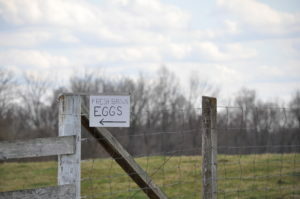 AND if you cook Amish, with the lard, the eggs, the sugar…you probably would not cook that way everyday either…because number one you are not used to it, and number two, most of us would not cook every meal, every day like Lovina does. Frankly, I just adore Paula, have watched her for years, have several of her cookbooks, and have a little group of recipes that I use when I want to for special occassions. Not everyday, not every week, but just because I want to get the taste of what my husband and I grew up with. God bless her and make her well & healthy. She is just so dang fun!!!! I’m not surprised because diabetes is tied to the kinds of food we eat. Perhaps she will “healthify” some of her recipes. My mom cut the fat off of all meat; we never, ever had butter in the house. She was uber healthy to the point of obsession. She made everything so tasteless that my father had to do the cooking. She was diagnosed with Type 2 diabetes and had a stroke. Go figure…. Interesting…well, Paula said in her interview that the cause of diabetes is one big puzzle…and I guess your experience bears that out! Now if Paula Deen held a cooking cruise-that’s one I would like to go on. I bet she would be great to be with in the kitchen and fun to be with on the tours. Having watched a several chiefs TV shows especially hers I often wondered if people always ate at home the same things they cook on TV everyday. I don’t think they would be alive if they ate what they cooked everyday. She might have told about the being diabetic sooner, but that didn’t change my mind on her. I learned from when the doctor thought I was diabetic that all things in moderation. After the tests they found I wasn’t diabetic, but I follow the diabetic diet to lose some weight. I’ve lost 20 lbs and still have some more to go. Many years ago, I bought Elizabeth’s first cookbook. Her recipe for pie crust is the one I have used ever since, the best anywhere. One ingredient is lard, something I had never used before, but wow! that is wonderful pie crust. I still use the recipe to this day, however, I probably don’t prepare pie more than four or five times a year. I feel when something special is wanted, go ahead and fix it, life is too short to go without. Just remember portion control. A little slice of strawberry pie in June? 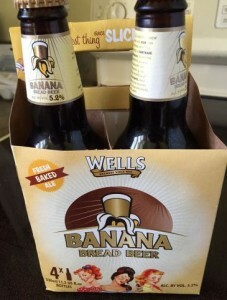 mmmmmm good. This may come as news to us, but Paula has been diabetic for three plus years and as she says, she eats in moderation what she cooks and I’m sure she doesn’t cook like she does on her program everyday. My husband was a Type II diabetic with 4 shots a day and he lost 100+ pounds and now he only takes one pill a day, so it is definitely diet controlled. I wish her the best of luck and hope her program doesn’t change. I think we need to stop blaming people for their diseases. I’ve seen very health-conscious people get diabetes or die from heart attacks. I’m not saying that Paula Deen shouldn’t alter her diet, but I wish that people were a little more sensitive to those of us who have diabetes. My very lean grandfather had Type II diabetes and so did my father. Now I have it. I had gestational diabetes with baby #4, too. Those risk factors contributed to my diabetes as much, if not more, than my diet. I am Paula’s age…..first generation removed from the Amish culture. I am fighting diabetes with diet and exercise and it is a battle…….I can read cook books…..watch tv cooking shows but what I eat is my responsibility…….not anyone elses.